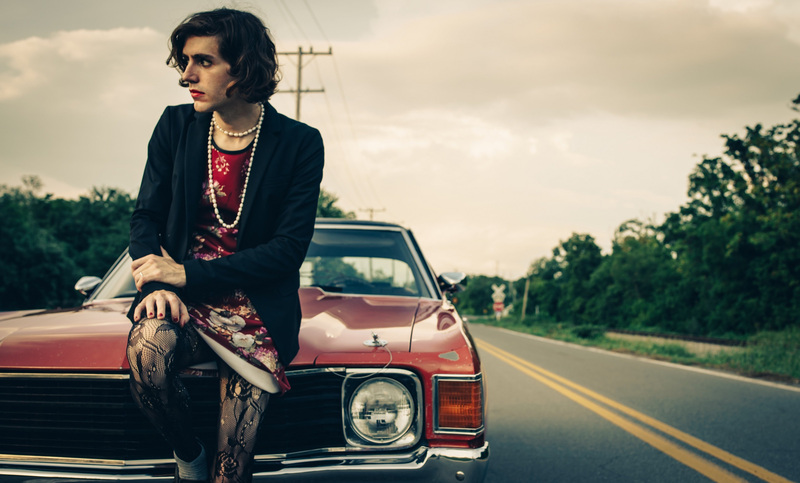 Ezra Furman has announced news of his new album, Transangelic Exodus, released 9th February on Bella Union. Furman has also unveiled the first single from the LP, “Love You So Bad”, which is streaming below, and announced a number of international live dates. In honour of this shift, his backing band has been newly christened: The Boy-Friends are dead, long live The Visions. In other words, the man who embodies the title of his last album ‘Perpetual Motion People’ is still on the move… Or, in the vernacular of the new album, on the run. After ‘Perpetual Motion People’ was released in July 2015, Furman moved back from California (Oakland) to his home town of Chicago. But after a year, he returned to the west coast (Berkeley this time). “I just seem to keep moving,” he sighs. Still, Transangelic Exodus was mostly recorded – as all Furman’s records have been since 2011 – at his bandmate (saxophonist/producer) Tim Sandusky’s Ballistico Studios in Chicago, and with the other Visions – Jorgen Jorgensen (bass, and on this album, cello), Ben Joseph (keyboards, guitar) and Sam Durkes (drums/percussion). 2. Driving Down To L.A.